This guide is designed to take you through the Bulk Upload process step by step. It has been designed to be interactive and so when you see text in this format: example link, it means that there is a link to follow either to a website or somewhere specific within the document. The Bulk Upload facility allows you to enter the apprentice, employer and framework information into an Excel or CSV format spreadsheet. This information can then be uploaded to the system which will create the apprentices records within MA Online 2. 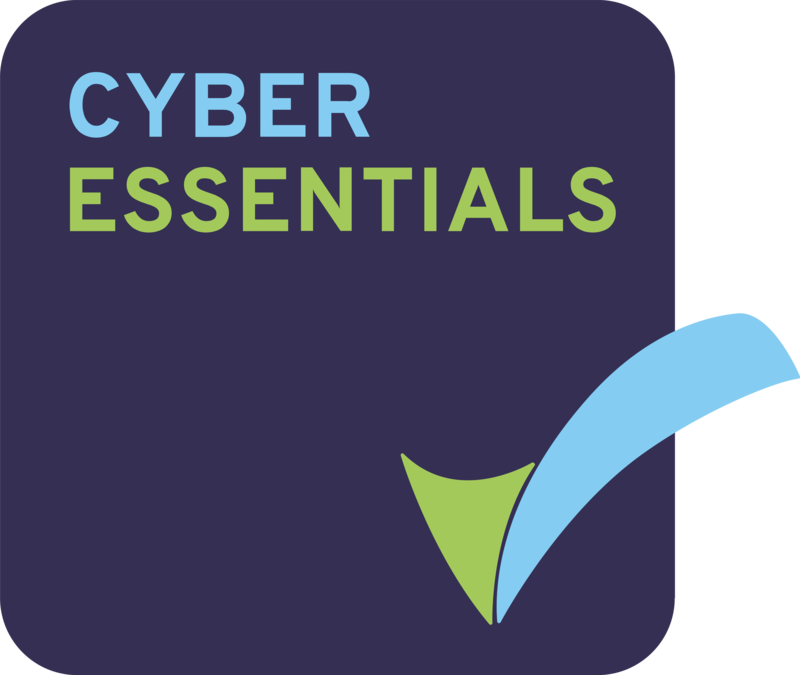 Don’t forget that once the records have been created on MA Online, you will still need to access them and complete the apprentices record and load the certification evidence. There are two ways that the spreadsheet can be completed. You can either enter the required information or use an automated download process. 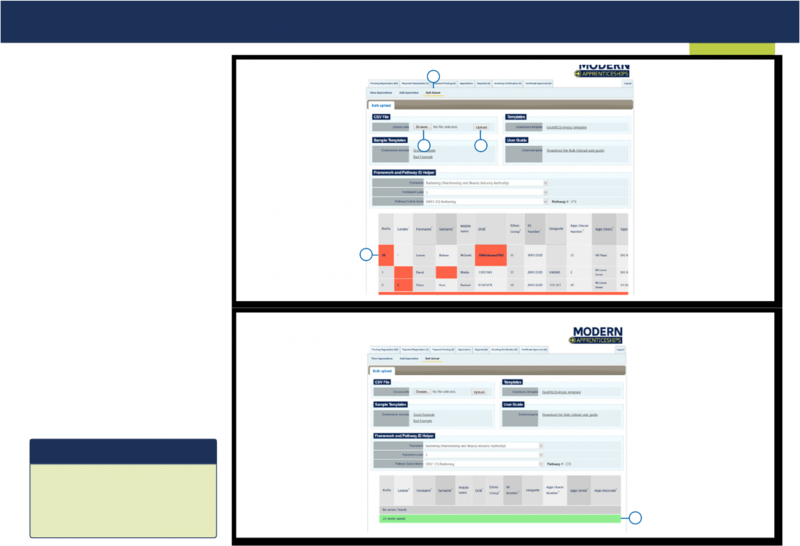 Some suppliers of the commonly used training provider management systems have developed specific automated processes. Please note that there is a limit to the facility in that you can load a maximum of 999 apprentices in one go. 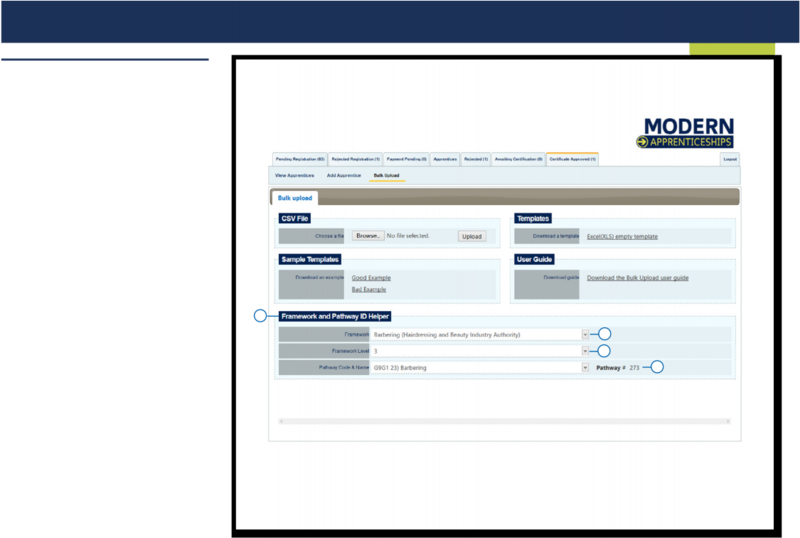 In order to use the Bulk Upload facility you will need to log into modernapprenticeships.org. Once logged in under the Apprentices tab  you will see the option Bulk Upload . This will take you to the Bulk Upload section where you can download the template document that needs to be completed and also where you will need to upload the completed CSV file. Both file formats require codes to be entered for some of the fields. This is due to the corresponding field on MA Online 2 having a drop down menu that requires a selection to be made. 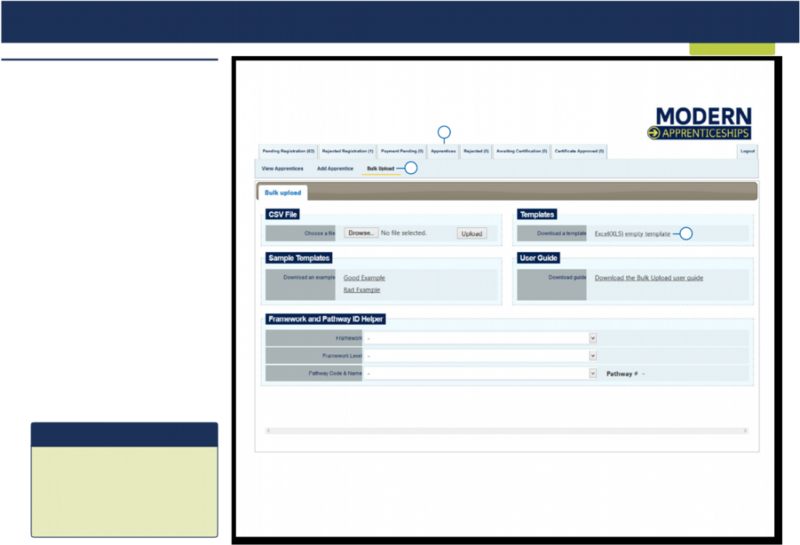 Each menu selection has a corresponding code in the underlying MA Online 2 database. 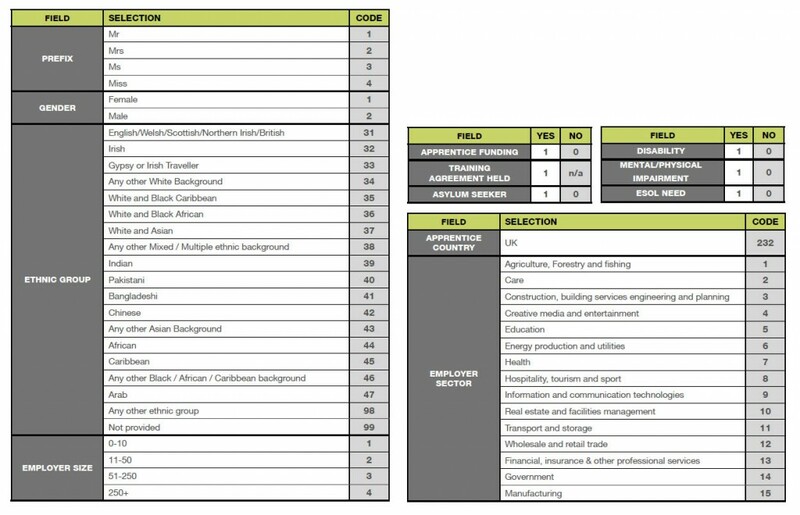 The spreadsheet requires all mandatory fields to be completed for the Apprentice and Employer. Both of these have drop down menus for selections to be made such as ethnicity and gender. 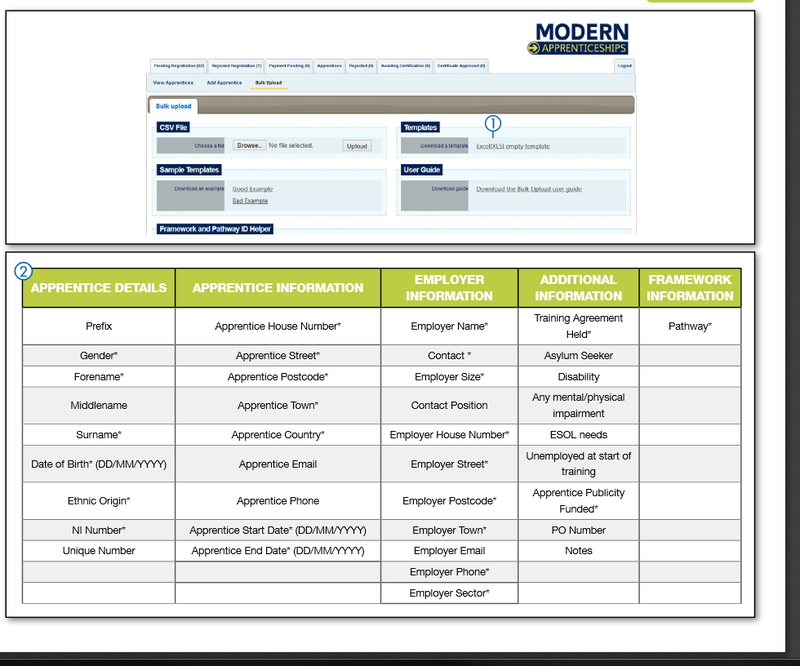 Where there is a drop down menu, a numerical code is required on the spreadsheet so that it can be converted by the system to display the selection correctly within the apprentices record. The tables on this page details those fields that require a code and what the code is for each possible selection. 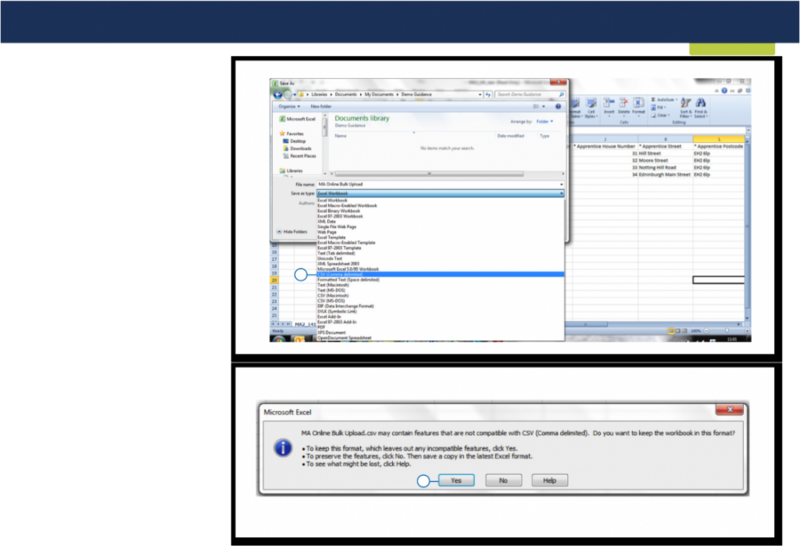 When you are on the Bulk Upload page you are able to download the Excel (XLS) empty template . You can either save the file or open the document. It will open within Excel. • There are examples of good and bad completion on the Bulk Upload web page. • Some fields are marked with an * this is because they are mandatory requirements. When you open the spreadsheet you will see the following fields . We recommend that you download a new template each time you use the bulk upload facility as it will be reflective of the most up-to-date mandatory fields required by the system. Don’t forget you can find examples of good and bad completion on the Bulk upload page. The Pathway column in the spread sheet matches those pathways within the MA frameworks stored on MA Online 2. In order for the system to identify the pathway due to be completed by the apprentice you need to use the correct code. With frameworks continually being reviewed and implemented we are unable to provide up to date codes within this guidance. However, to assist you we have included an ID helper within the Bulk Upload page. This tool will enable you to find any code you need and is up-dated when new frameworks are implemented. — Followed by the Pathway Code and Name. The number that you need to enter into the spread sheet are then displayed to the right of the Pathway Code and Name. As you can see here in the example the pathway code is: 273. When you upload the file to MA Online the framework and pathway will be populated. • Select the Save As option within Excel. • Under the selection Save As you will see that a drop down menu appears. Select the CSV Comma delimited (you can see that there are several different CSV formats but only the comma delimited will work). • Give the file a relevant filename and save to a suitable drive/directory/folder location. • You will be asked if you want to keep the file in this format, select Yes. Now the file is in the CSV file format, return to the Bulk Upload page of the MA Online 2 website. • Select Browse , a pop up box will appear that will allow you to navigate to the location where you saved the CSV file. Once you have selected the correct file, click the Open button which will transfer the file path to the Choose a File field in MA Online 2 and then click the Upload button. • The MA Online 2 system will upload and convert the information from the CSV file. • Any records that do not comply to the requirements will be shown in a summary field and the error will be highlighted in red. When there are issues with the file upload, none of the apprentice’s records will be saved to the system. You will need to correct the errors and upload the whole file again. Only when all of the spreadsheet data has been accepted by the system, and it is showing as green, will the uploaded data be saved onto the MA Online 2 system. • Enter the date that you uploaded the bulk upload file into both the Registration Date (from) and Registration Date (to) and select Search. • The system will then show all apprentices loaded that day. You can then extend the amount of apprentices per page up to 100 and either export all or work your way through the list. If you choose to export all, the system will create a file that you can open in excel and displays the MA Online 2 number for each apprentice. If using the Bulk Upload facility the system will NOT be able to pick up on duplicate apprentice records. Therefore it is important that you check you are not loading apprentices twice. If you wish to use the CSV method for Bulk Upload, you will need to contact the MA Online Support team for the CSV file. Once you have the file you will be able to follow this guidance on how to populate the CSV file. • There are examples of good and bad completion on the Bulk Upload page. • Select cell A1  and go to the Data tab . You will then see the option to set the Delimiters (the column headings). By ticking the selection Semicolon the wizard will automatically set the headings into columns which you will be able to see in the preview box, select Finish. This will then separate the columns and you are now able to fill in the apprentices details that you would like to load. • When all the data is entered, give the file a relevant filename and Save to a suitable drive/directory/ folder location. Now the file is in the CSV file format and complete, return to the Bulk Upload page of the MA Online 2 website. , will the uploaded data be saved onto the MA Online 2 system. • Enter the date that you uploaded the bulk upload file into both the Registration Date (from) and Registration Date (to) and select Search. The system will then show all apprentices loaded that day. • You can then extend the amount of apprentices per page up to 100 and either export all or work your way through the list. If you choose to export all, the system will create a file that you can open in excel and displays the MA Online 2 number for each apprentice. • If the MIS that you use does not currently have an export process to extract the data in a format that is suitable for uploading to MA Online 2, then please contact the Federation and we may be able to facilitate this by working with individual software suppliers.